The sounds of the river behind our house have been much louder since all the rain this afternoon, so we went down there to investigate. It does not look the same! The water is very muddy, flowing fast, and a bit higher than it was before. Apparently we got quite a lot of rain. It was very late in the day when we went down, and so dark we were glad for our flashlights as we made our way back up to the street. 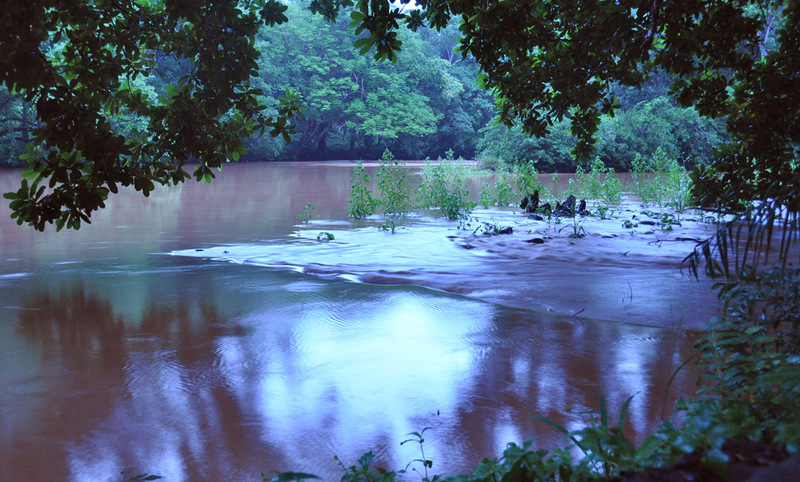 The photos have a dusky bluish tint because of the low light, but you can see how muddy the water is. It’s quite different from the calm, clear water of less than two weeks ago. This entry was posted in expat, expatriate, Panama and tagged Central America, Chiriqui, Chiriqui Province, David, expat, expatriate, International Living, Latin America, nature, Panama, photography, river, water. Bookmark the permalink. 6 Responses to Our Muddy River! that’s quite a change; it’s amazing how a river can change personality really fast. in costa rica i drove through a river and a small stream to get to town, and many times it would be sunny in town, but when i returned, the river was much higher and bravo. 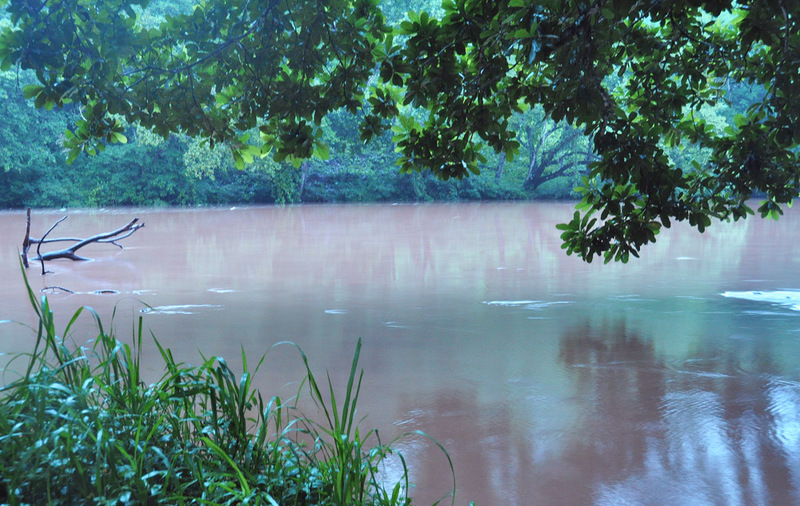 the river was affected by the rains in the mountains. i would park and use the suspension bridge to get home! This evening, after yesterday’s rain and one downpour for an hour or so this afternoon, I can once again hear the river next to my house rushing over the rocks. Three days ago it was nearly dry and the people who live over on the other side could cross it without getting their feet wet. That’s impossible now. The rain this afternoon dropped the temperature so much that I had to put a tee shirt on around 3 o’clock to stay comfortably warm. I figured there would be a lot more water in your river too. We’re so used to being hot now that it’s almost chilly when the rains cool everything off! Isn’t it amazing. Everyone back home thinks this place is a perpetual sauna, but more often than not it’s cooler than back home in Florida. Thank you 🙂 Yes, water is deceptive, having much more power than one would think.